We are passionate about sculpture, creating our own, teaching others and producing commissions for clients. 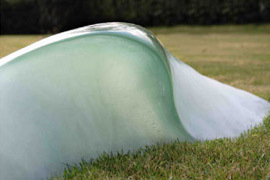 We have both been professional sculptors for over 12 years and hold a wealth of knowledge and experience between us. The Sculpture Studio provides a home for classes, commissions and the 'SculptureBox' range of kits. We want to help you express your creativity. There are a number of ways to do this. Bring us your ideas and we can develop them for you, or join us on one of our courses. 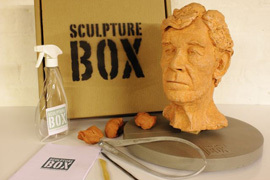 If you can't come to us, have a go in your own home with a SculptureBox kit. Martin Adamson works within the stop motion animation industry and also provides models for Film, TV, Display, and Architecture. He lectures for a range of universities. Val Adamson is a figurative sculptor who works in clay using traditional methods. She has taught figurative sculpture for the past 12 years and now lectures for a range of art bodies, schools and universities. Realise your creativity with your very own sculpting kit (contains everything you need).